This inmate was suffering from alcohol addiction and depression. He was picked up from Kankanady by Karunamaya Team. There were several wounds on his body and with good medical treatment, he has recovered. 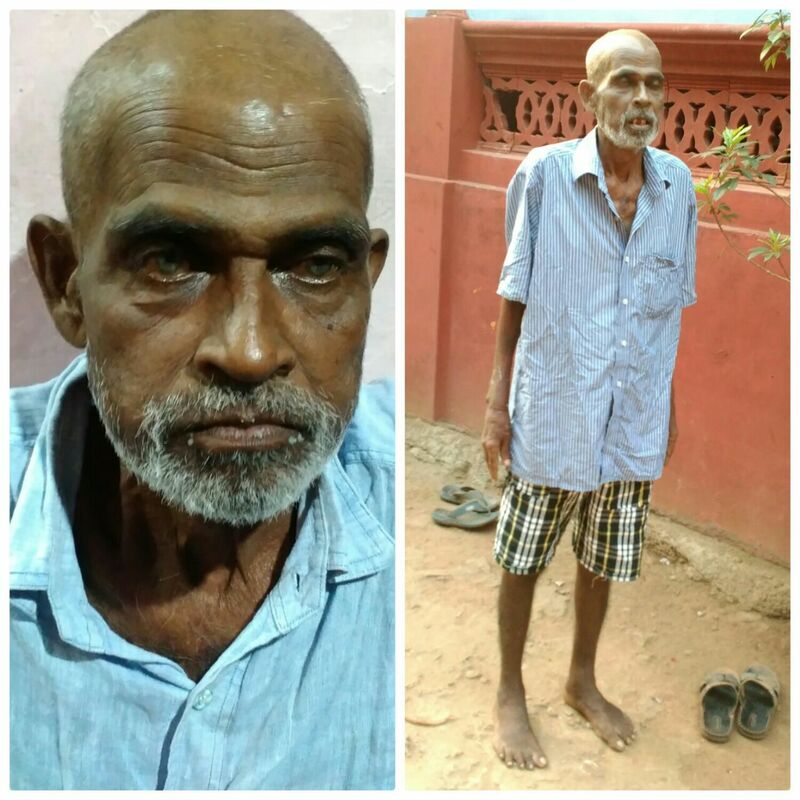 This inmate was brought to Karunamaya while he had fourth stage throat cancer. Medical treatment was provided but sadly he passed away. This man was brought from Niddele in Kulshekar. He had met with an accident. He was an alcoholic and had depression. 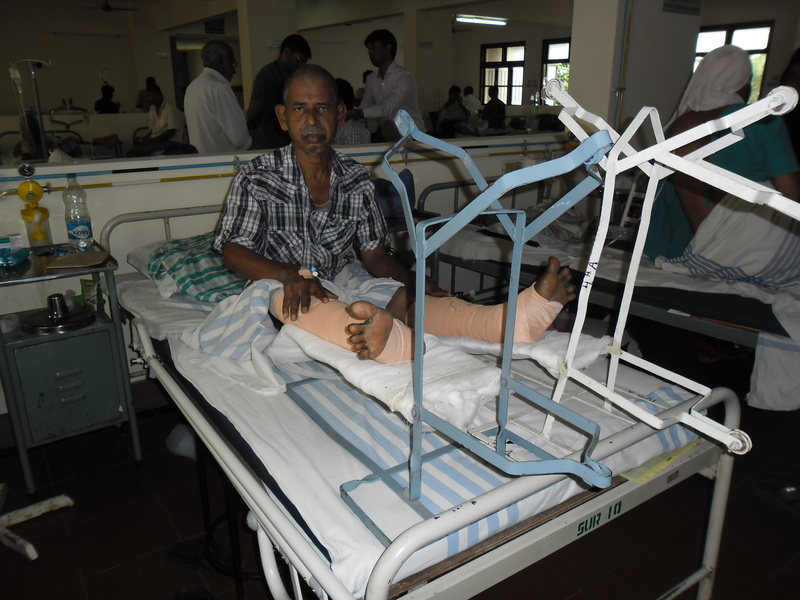 He was provided medical treatment at Yenepoya Hospital in Deralakatte. He was also provided rehabilitation. He recovered well and has now left Karunamaya. 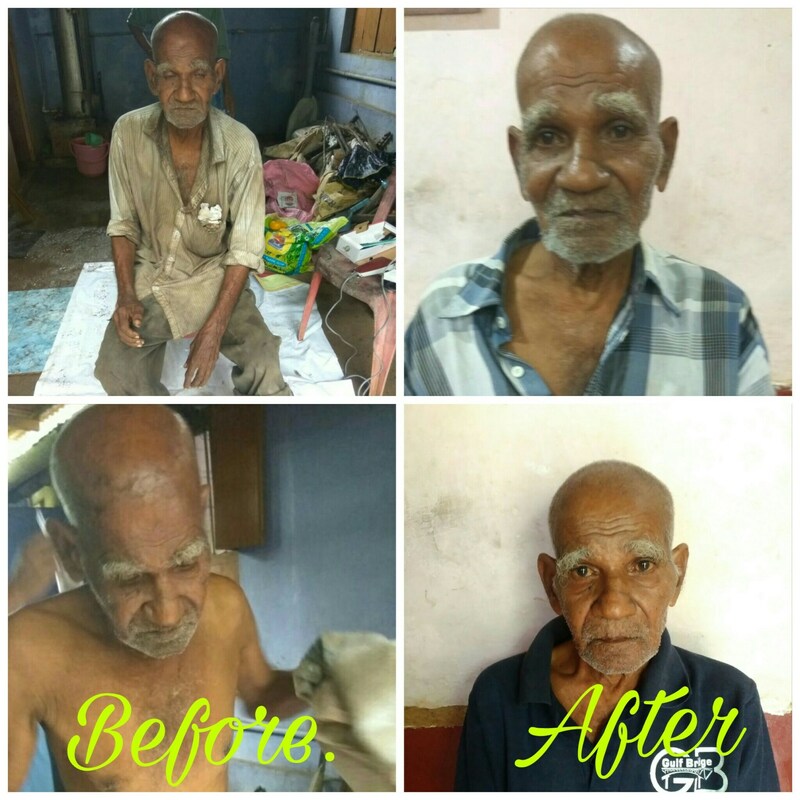 This man was dropped off at Karunamaya by his family from Shaktinagar due to his problem of alcohol addiction along with high BP and severe depression. 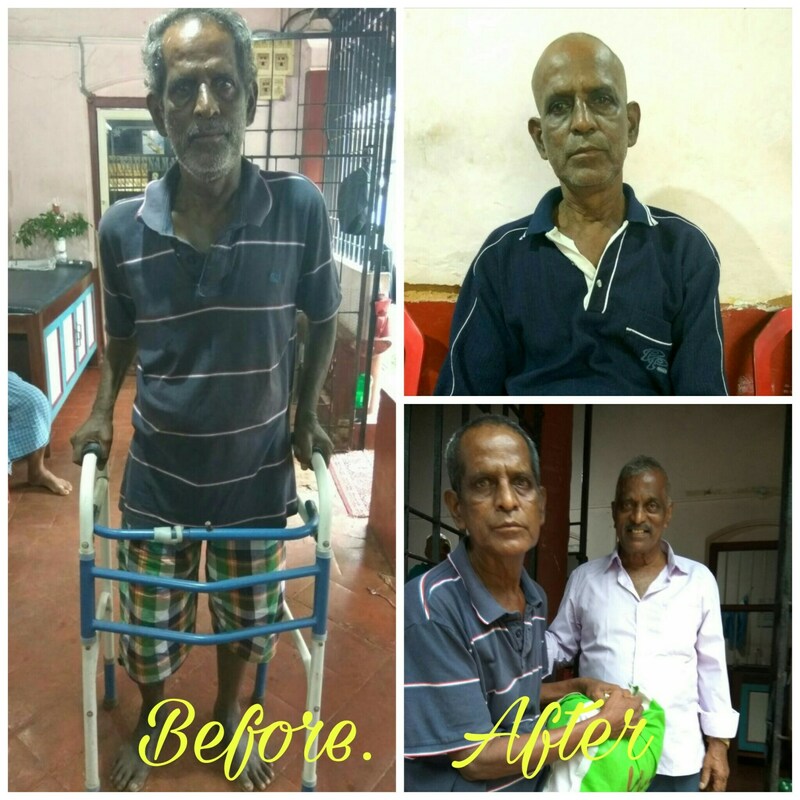 He was provided medical treatment and rehabilitation. He improved and has now left Karunamaya. This inmate was from Chickmangalur. He was dropped off at Karunamaya by his family. He had the problem of alcoholism and had met with an accident. 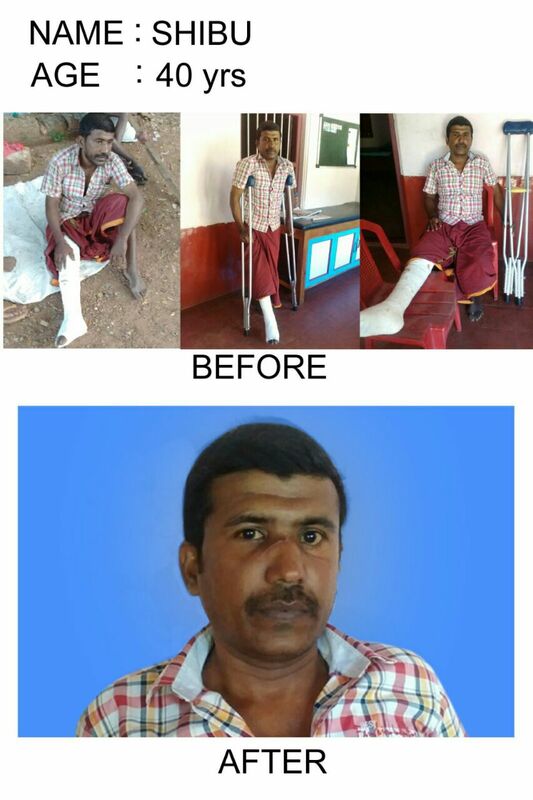 He was provided medical treatment and also a rod was placed in his leg to overcome the loss of his bone due to the accident. He is now fine. 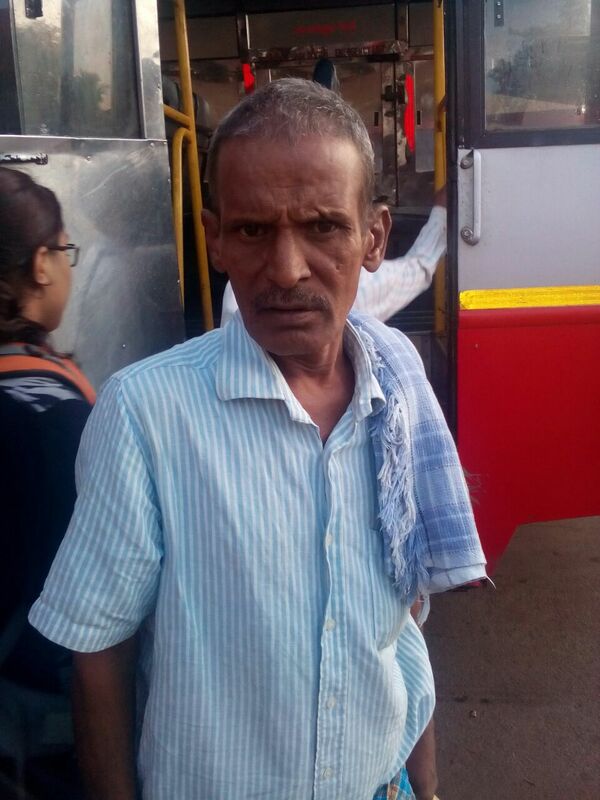 This man was picked up by the Karunamaya Team from Thokottu bus stop. He was suffering from severe depression. 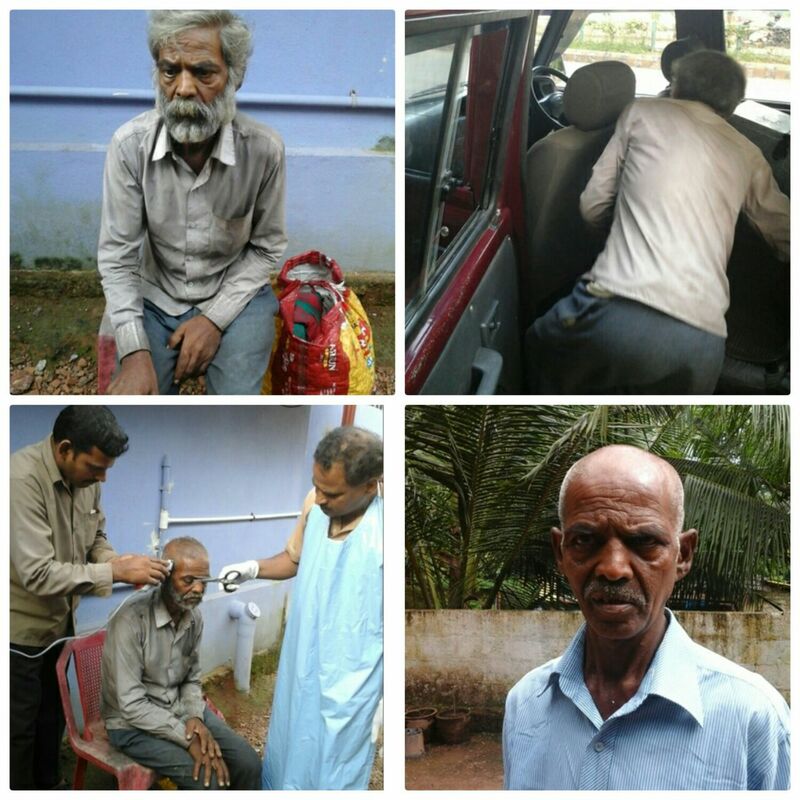 He was provided counselling and medical treatment. He became better and then left the Ashram to go back to his family. This old man was picked up from Bendoorwell for alcoholism addiction. 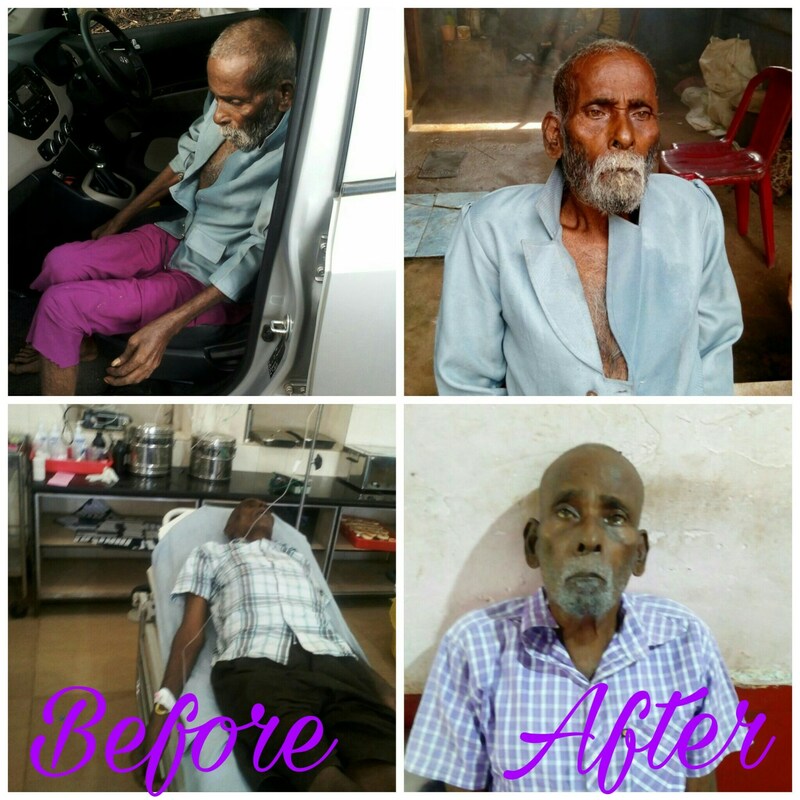 He was provided appropriate medical treatment and rehabilitation. He is totally alcoholism free today. 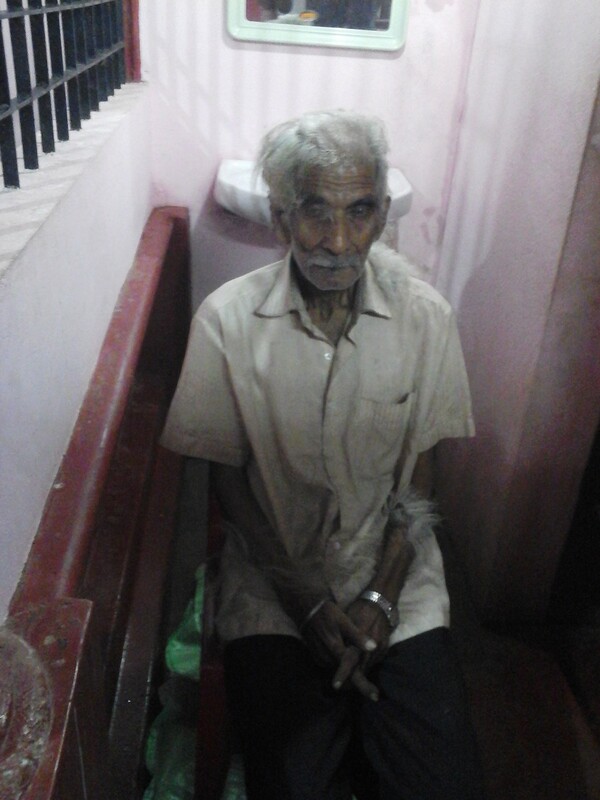 This man was brought from Belthangady. 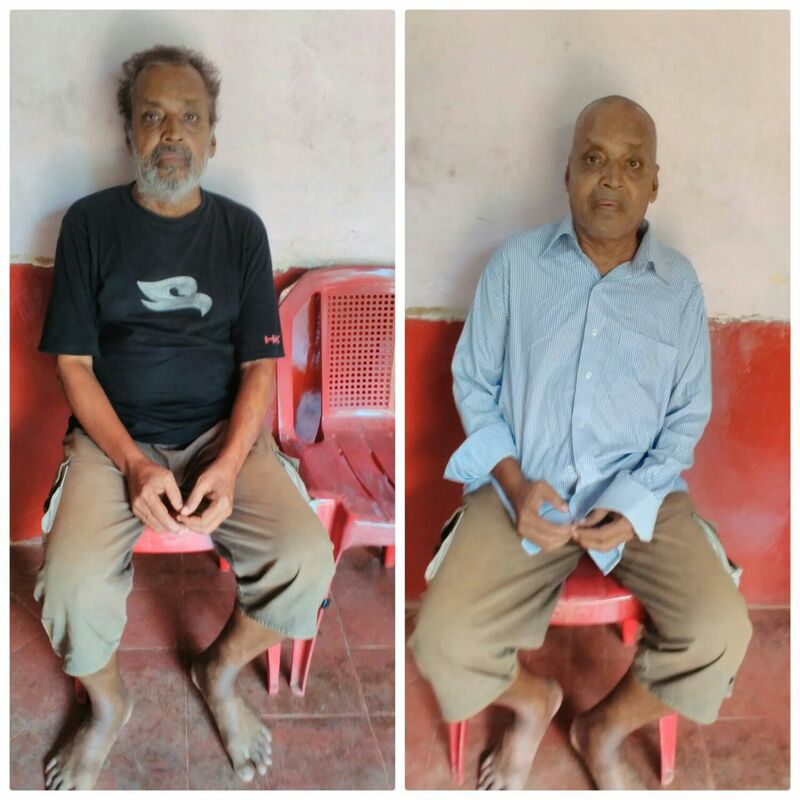 He was in an extremely disoriented state of mind and had to be shifted to Snehalaya in Pavoor for psychiatric treatment. 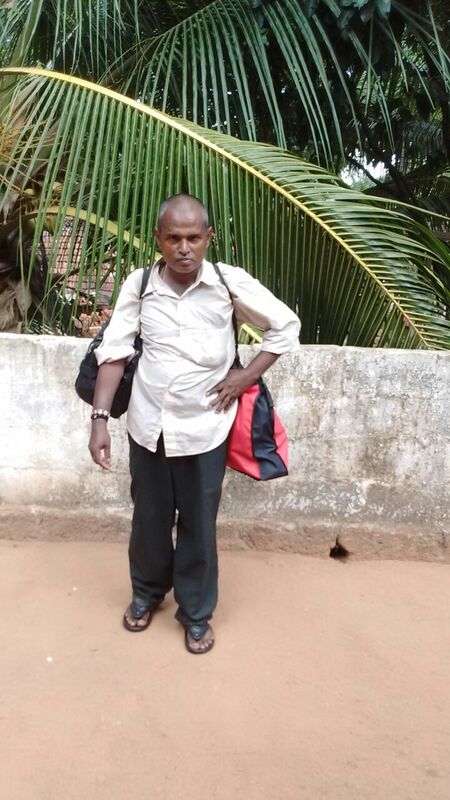 This inmate was picked up by the Karunamaya team from his house in Marlapadavu. He was in a pitiable condition being an alcoholic. 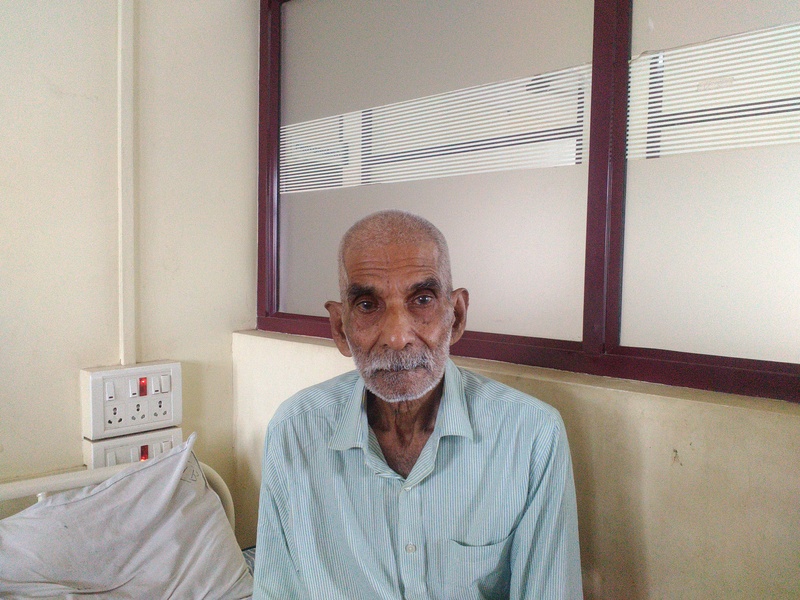 He was treated at Yenepoya Hospital in Derlakatte. He was also provided rehabilitation. He improved and was alcohol free after that. After living several happy months at Karunamaya, he recently passed away. May his soul rest in peace. 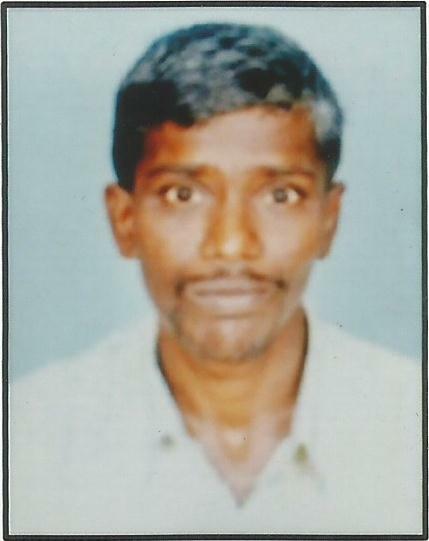 This inmate was picked up by the Karunamaya team from Nandigudda. He was an alcoholic. 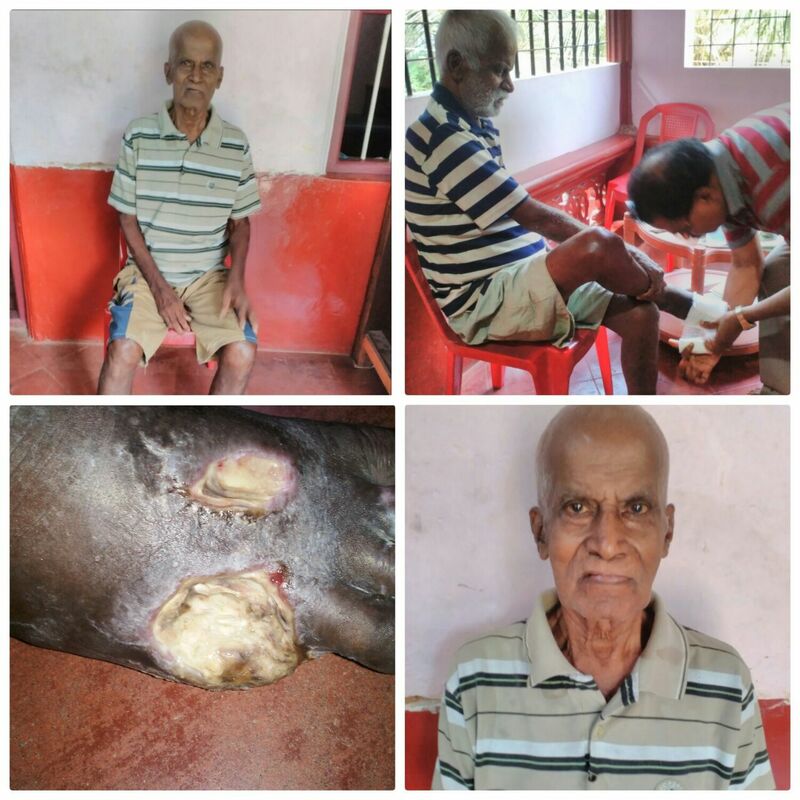 He was given medical treatment at Yenepoya Hospital in Derlakatte and Rehabilitation at Karunamaya. 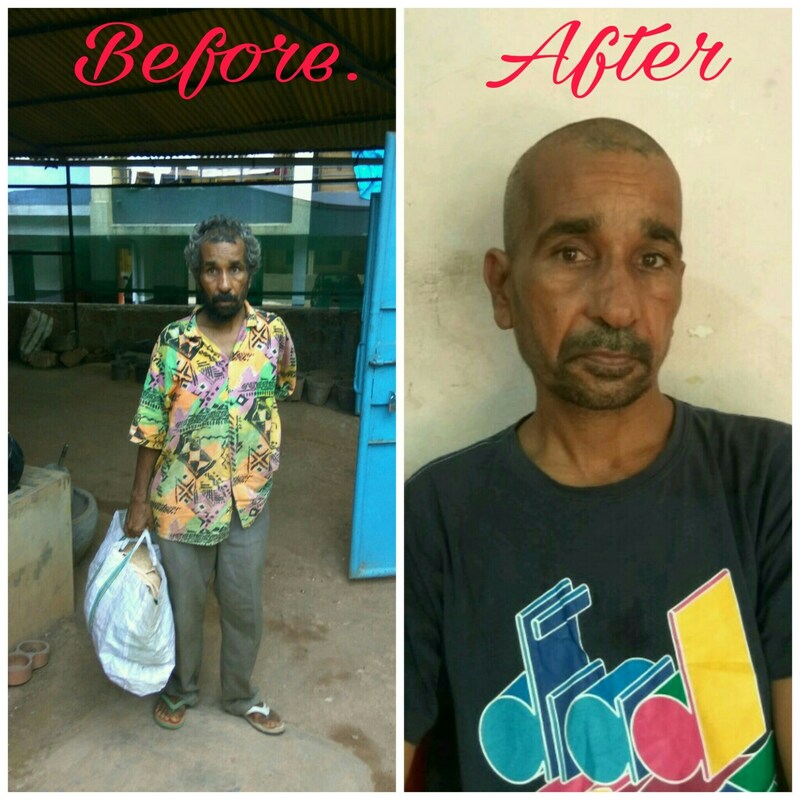 This inmate was an alcoholic who was picked up by Karunamaya from Marnamikatte and provided medical treatment and rehabilitation. He is not totally addiction free. This inmate was picked up from Merlapadavu. He had loss of vision and low haemoglobin. 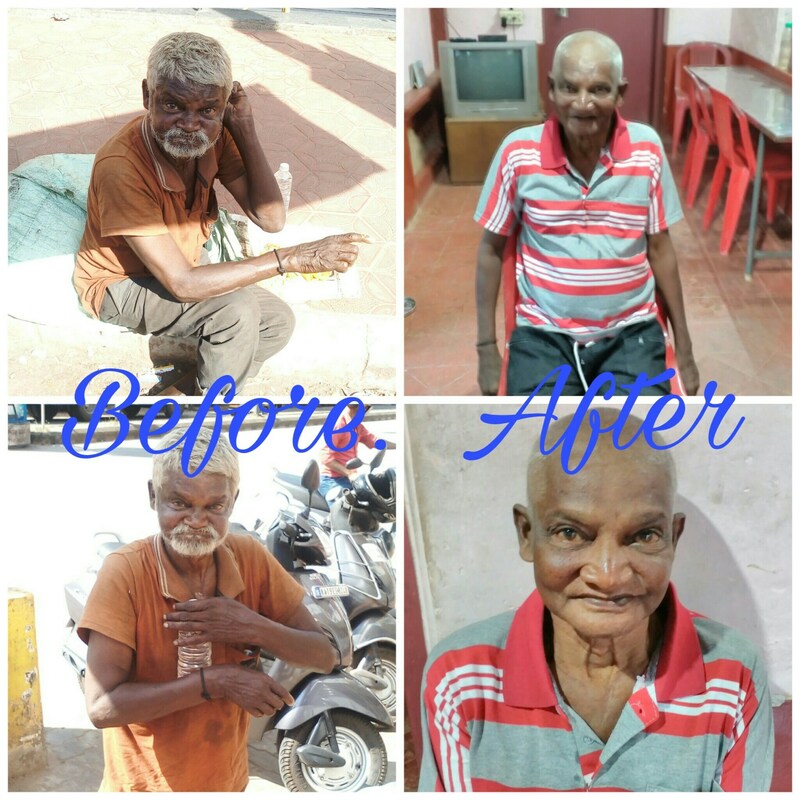 Karunamaya received him with love and affection and provided him the much needed medical attention and care. 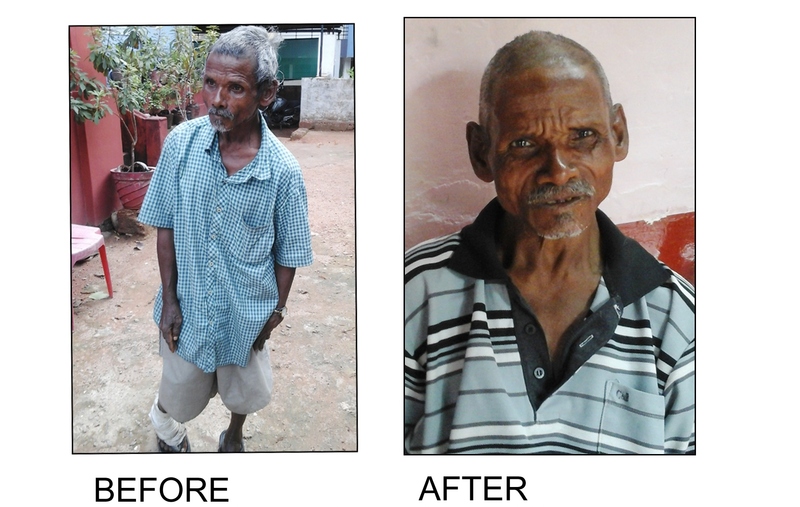 A cataract surgery was perfpormed at Yenepoya Hospital in Derlakatte. 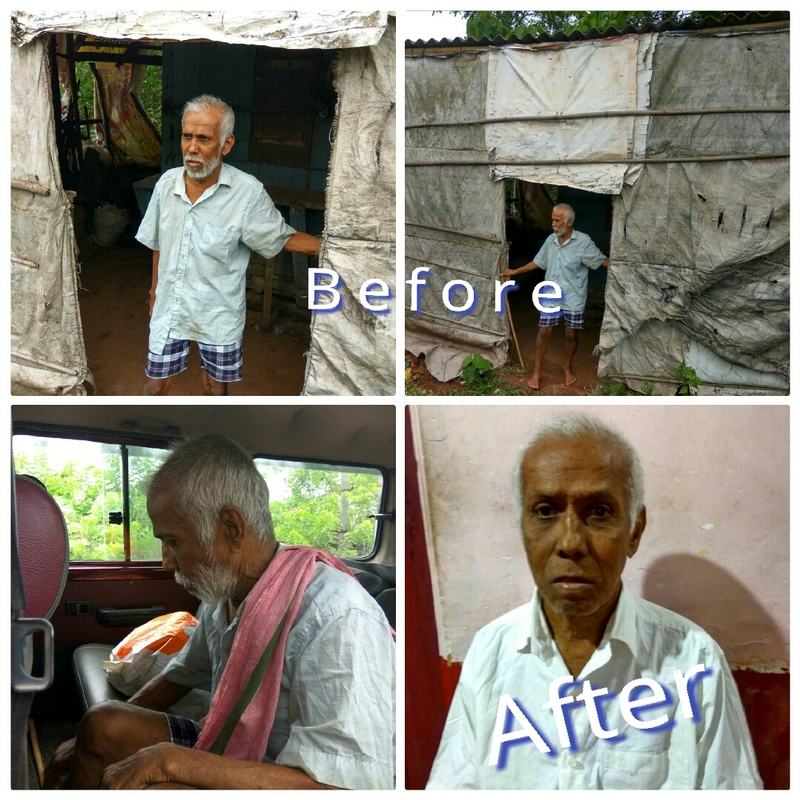 His vision is restored and his health is better as well. Picked up from care of Mother Theresa poor home mangalore, One leg was amputated after train accident. 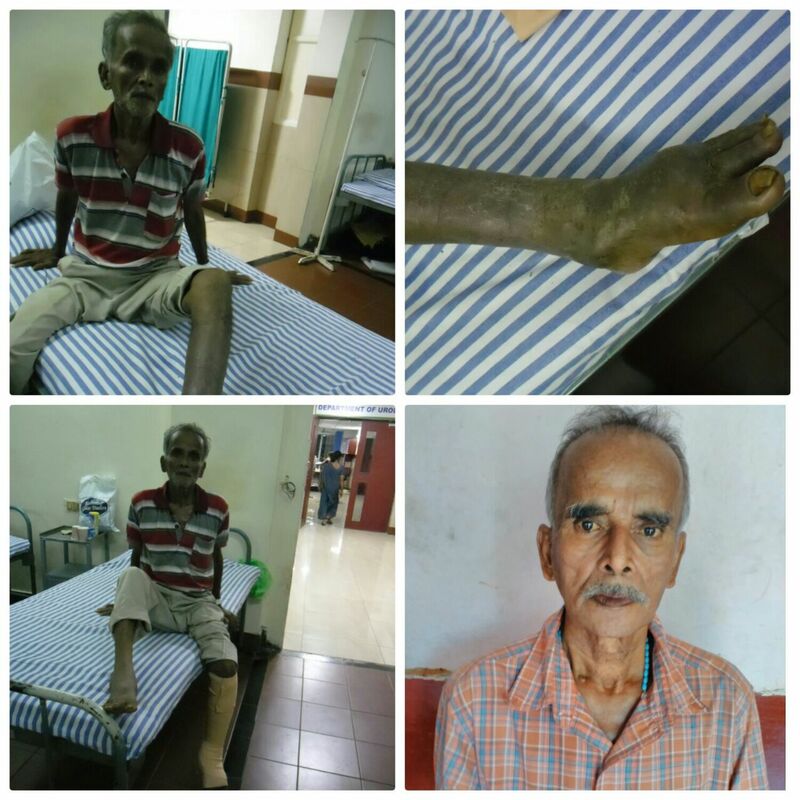 Treatment was done at Yenepoya medical college hospital, After two months of treament cured and left his own accord. 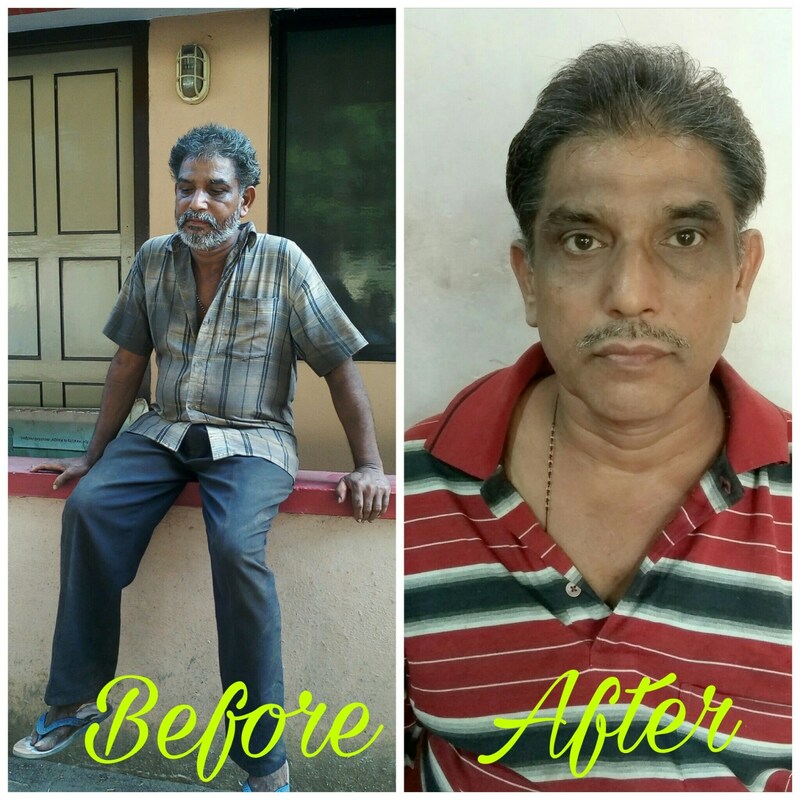 Ravi was picked up from mangalore central railway station, who was suffering from high BP and was mildely paralyzed. 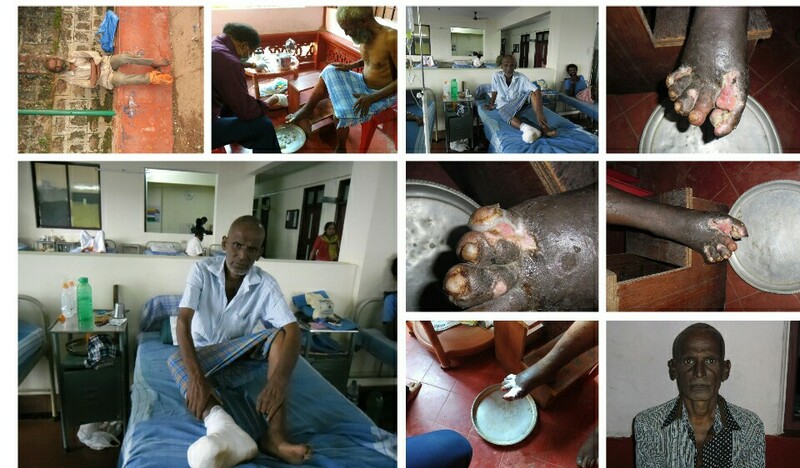 He was treated at Yenepoya medical college hospital. Completely cured and left to his native place. Denis was suffering from leg infection and was highly an alcohol addict who was cured to the best and freed from his addiction, sent back. A patient of high mental depression and a victim of alcohol. Is still under treatment since one year. 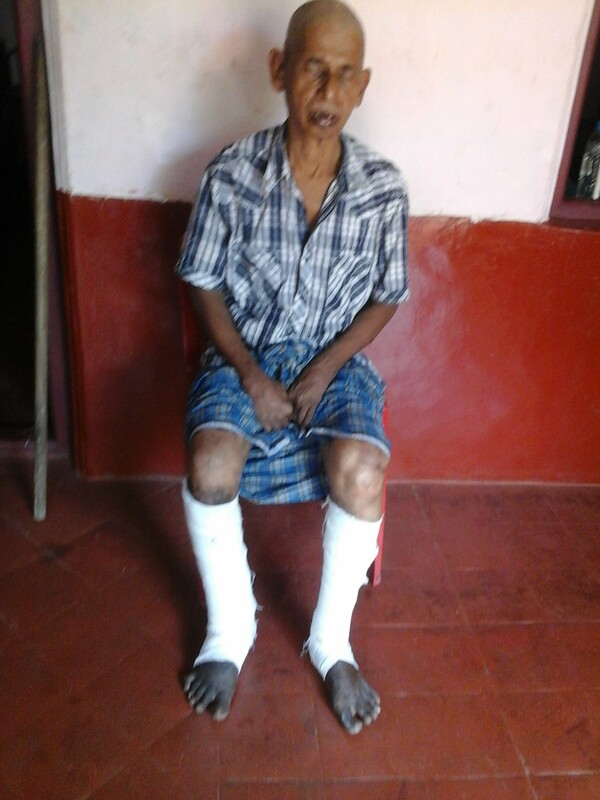 Shibhu met with an accident resulting in fracture of one leg, for which he was treated at the ashram and sent back. 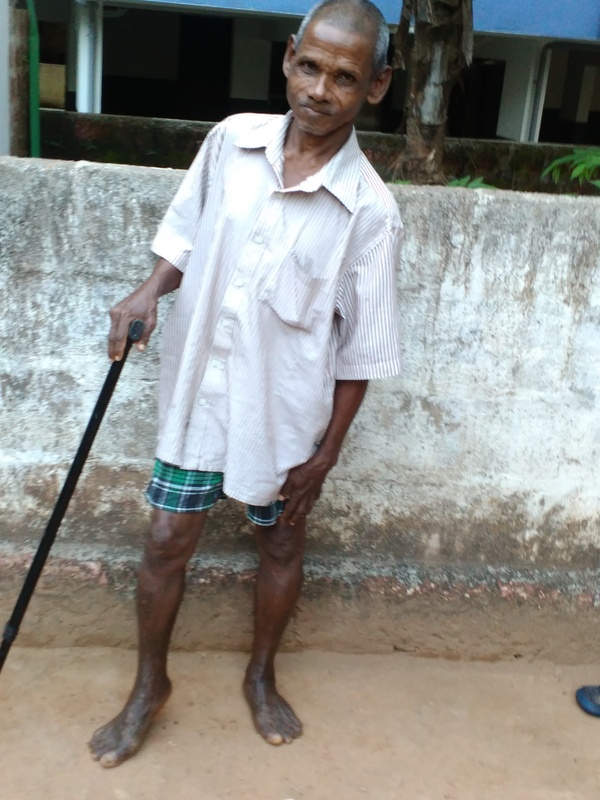 This patient was suffering from tuberculosis, with also having damaged lungs and liver, who was then hospitalized at Yenepoya medical college hospital for one month, Martin cured from this illness. 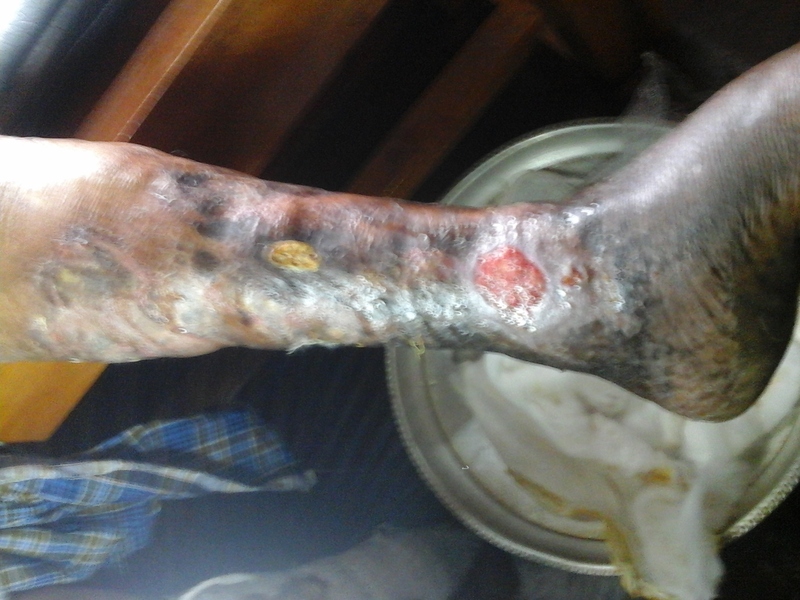 One of this patient’s leg was affected by gangrene, for which he was hospitalized for two months at Yenepoya medical college hospital. Cured and sent back to his family after a period of one month care by the ashram. 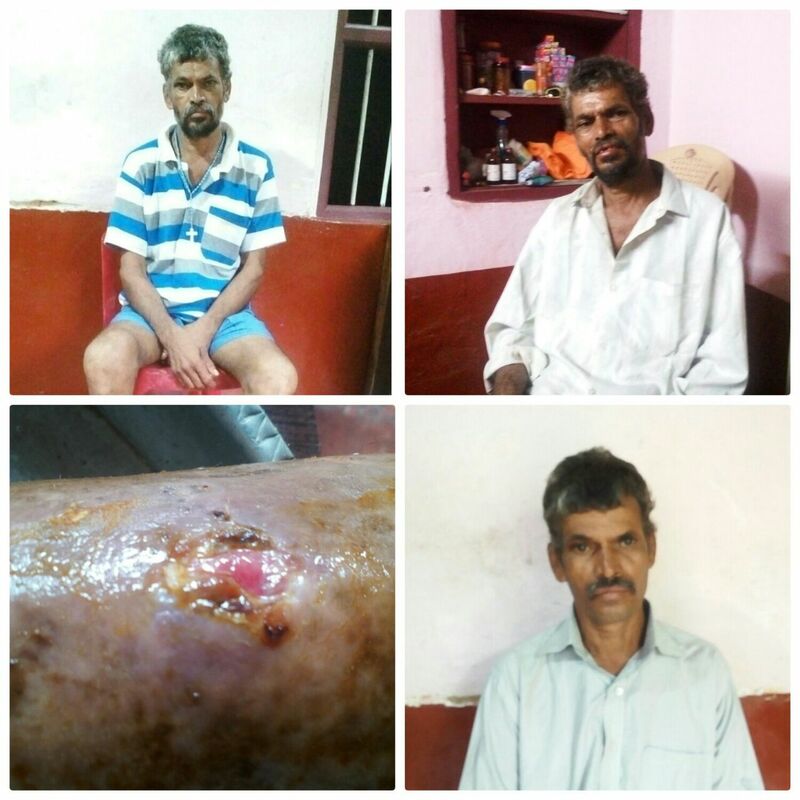 Leg was affected with Gangrene, having hepatitis B for which he was treated and hospitalized for 3 months. Cured and sent back to his family to lead a good life. 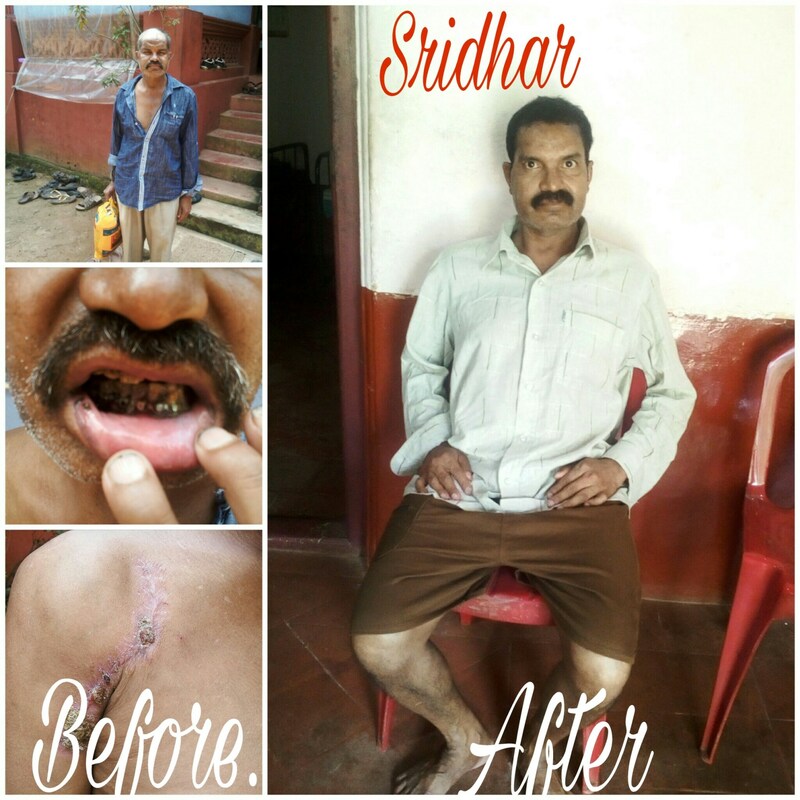 Joseph was affected with filariasis and was treated at the ashram for the same. Joseph was successfully cured and was sent back to his family. 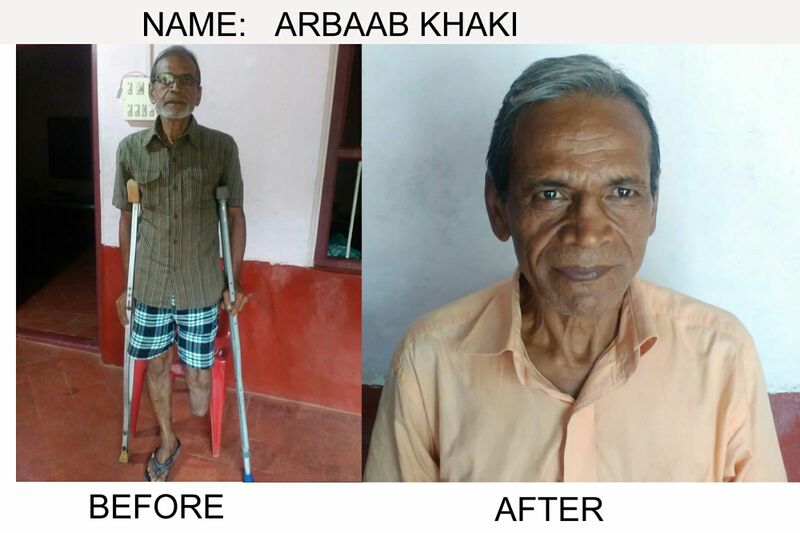 Cellulitis was the disease which this particular patient had when he was introduced to the ashram, he then was treated regularly after 15 days of intervals at the hospital, and Oswald is cured 75% from the time he was got to ashram and still curing under treatment at the ashram. 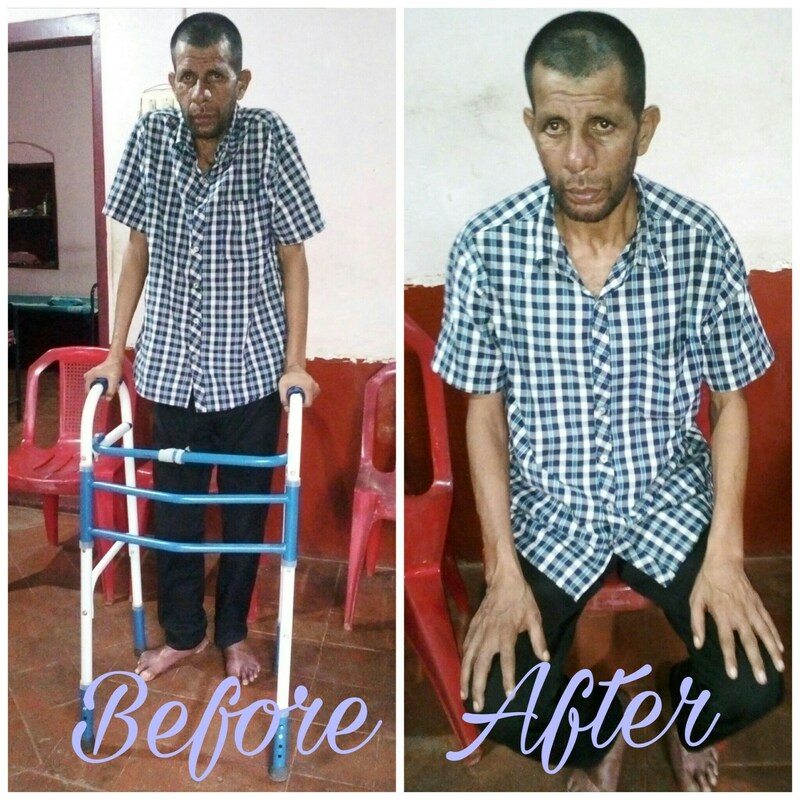 Was picked up from Bejai church, Mangalore said was natively from a place in Maharastra, suffering from cancer which affected his genital area severely. 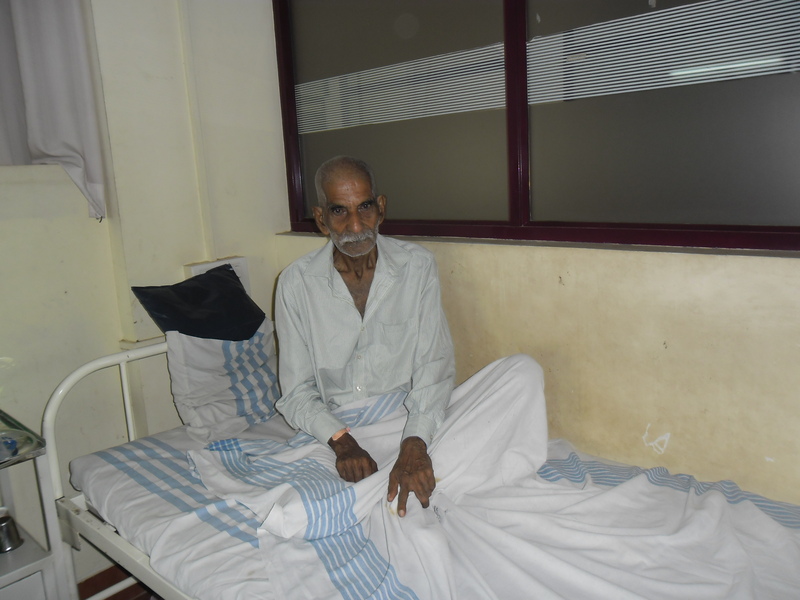 Passed 3 surgeries and recovered completely and is medicated and accommodated by the ashram. 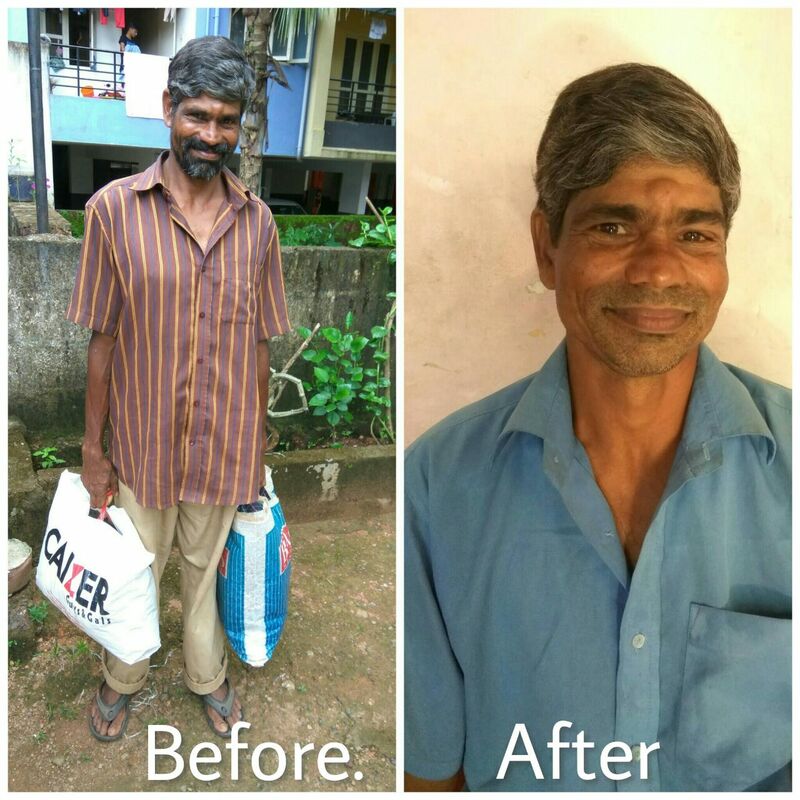 This patient was picked by Karunamaya Trust near Government College Mangalore. Who was dumb, deaf, and had disability of walking. With a fractured hand. Who then was treated at the Ashram. 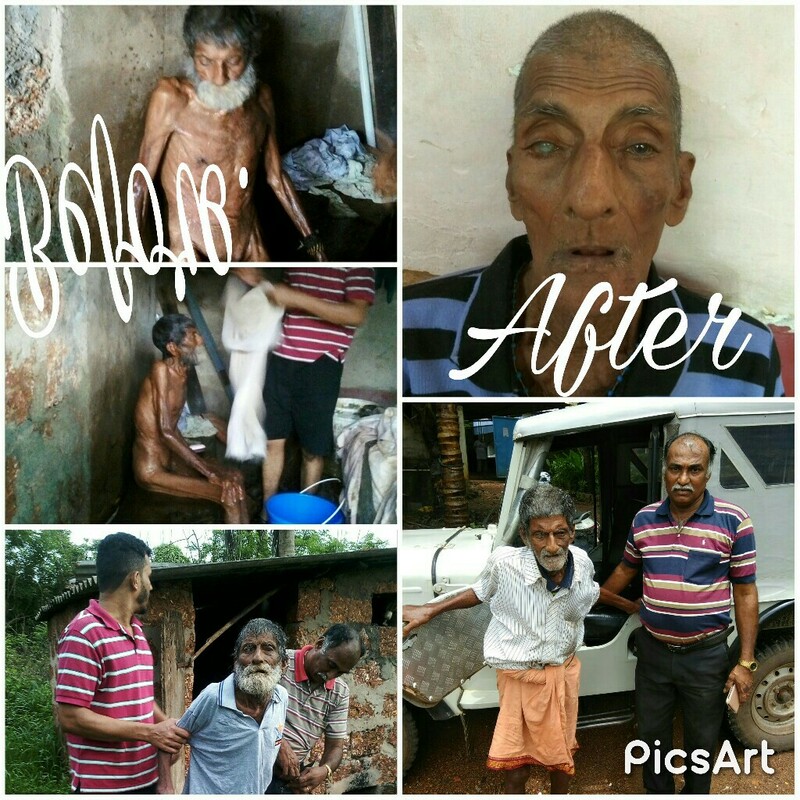 And cured to normal and is living his life at the Ashram since one and half year. 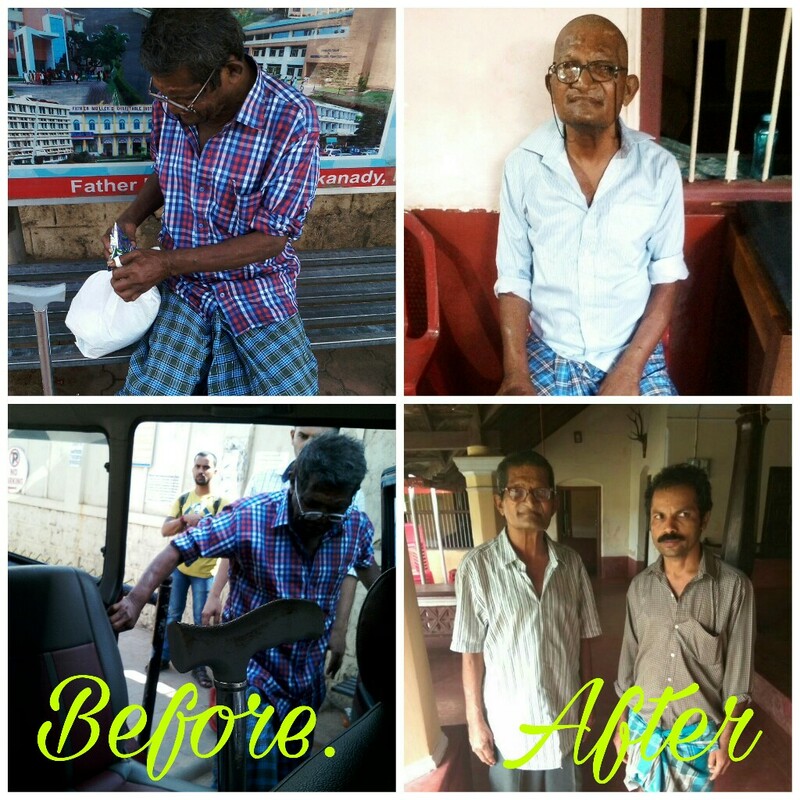 This patient was picked up from near moti mahal hotel, Milagres, Mangalore. 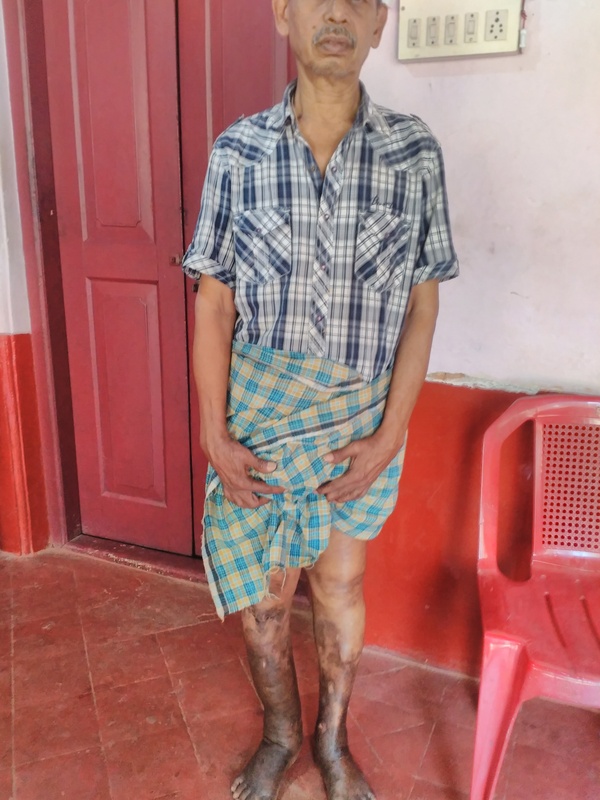 Who is native of Kuppe padav, was affected by the disease “Gangrene”, spent one and half month at the hospital under the trust’s care. Now successfully cured and staying at the Ashram. 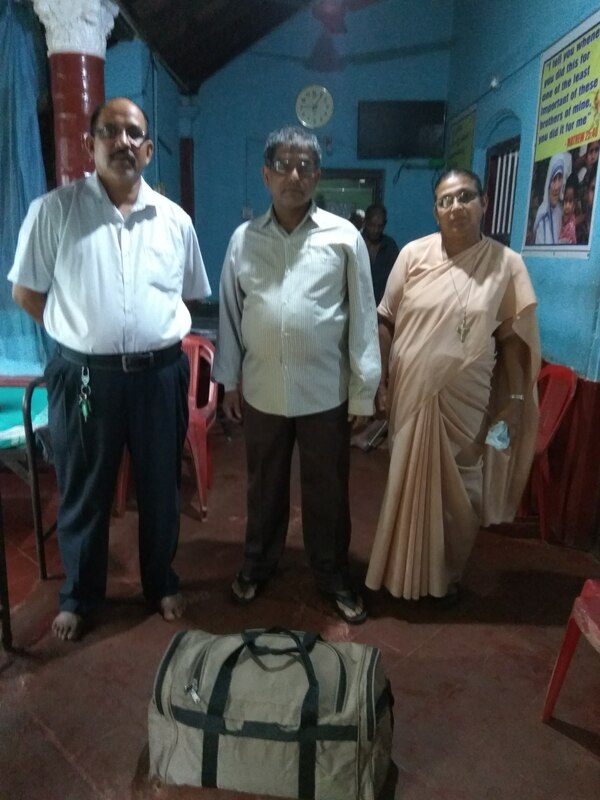 This patient was having mental depression for which he was treated at Yenepoya Medical College Hospital, Mangalore for a period of one month by our own Karunamaya Trust and he was cured and sent back to his family. One of our dear inmates, Mr. Cyril Braggs is now free of the addiction to alcohol. He returns to his loving family. May God bless him and his family and may he live a beautiful life with his dear family.